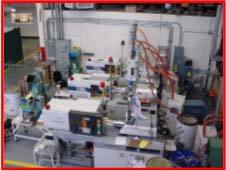 Apollo Plastics offers the services of 25 injection molding machines located in Chicago, IL. 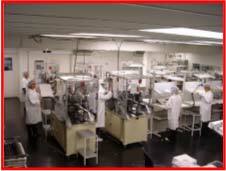 Apollo’s 2200 square foot, Class 100,000 clean room is environmentally controlled for temperature and air quality and is used for molding and assembly. Temporary enclosures may be erected around any size molding press to create additional “clean zones” to meet customer needs. Apollo’s operators are fully trained in methods to assure contaminant levels of incoming and out going products are controlled to meet the toughest customer requirements and industry standards. Apollo Plastics offers a variety of finishing and assembly operations to meet the most exacting needs of our customers. If your product calls for painting, plating, pad printing, laser etching, hot stamping, or a combination of these, Apollo’s engineers will assist you in selecting and designing the appropriate processes to make your product reflect the image you are looking for. Apollo Plastics can meet all your plastic finishing needs. Apollo’s painting and laser etching processes are automated to reduce variability, reduce costs and assure consistent quality. Apollo has two robotic paint lines, capable of running twenty-four hours a day to meet high volume customer demands. Apollo also has individual paint booths for smaller volume painting requirements. Apollo’s fully programmable laser etchers allow the application of custom graphics to a variety of shapes and sizes. Artwork can be scanned in or converted to programming code that is then loaded into the lasers. Apollo offers a full line of assembly options ranging from hand assembly, operator assisted assembly, and fully automated assembly. Apollo takes pride in designing, developing and manufacturing much of the automated assembly equipment in use in our facility today. 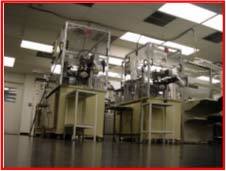 Let our team of experts assist you in reducing the cost of your product through innovative automated assembly processes.